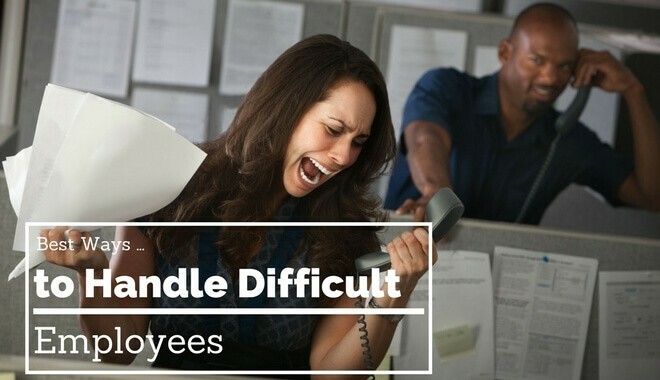 Ah, the difficult employee: the person that makes driving to work feel like waiting for someone to stab you with a pin needle over and over. Some of you may feel this sentiment is too strong, while some of you may feel like it’s not strong enough. Everyone has that one person on their team that they feel like has a God-given ability to make your life miserable – an implied arch nemesis – if you will. The good news is that you aren’t helpless and we’re going to discuss a few strategies to be victorious over this villain in your life. Before diving into the fix, let’s start with identifying three prominent personalities that can define difficult people. Although there may be others, these three seem to be prevalent in any context. We’ll name the first personality Debbie Downer. As you can tell by the name, this person is dominated by Negativity Bias. Negativity Bias is the tendency for people to focus more on negative elements of situations rather than positive elements. Moreover, they only focus on problems, rather than solutions. It seems like they see the proverbial cup as half-empty 99.9% of the time and are dumbfounded when asked to come up with a way to fix it as if you were asking them to change the rotational direction of the earth. So, how do you deal with the Debbie Downer? As always, positivity is your best friend, but in your interactions with this person, it is even more important to keep your positive cap on. If the rest of your team sees you being negatively affected, then they will follow suit. One strategy is to sit down and have a completely honest discussion about how their negativity is affecting the team. Use recent examples if you have them, and if you don’t, talk about how it’s affecting potential results. Tell them that for every negative comment, they must make three positive comments or constructive solutions. The second personality is the Drama Queen. The Drama Queen also suffers from negativity bias, but takes it to a whole other level. They see a small problem or ambiguous situation and turn it into a shipwreck! They thrive on emotional situations and love conflict. They might argue with you just for the fun of it. If someone looks at them in a slightly different way, they’re by the water cooler making up a story. If the CEO sends an E-mail with just one ambiguous word, they are spreading rumors about how the company is not doing well. Similarly to the Debbie Downer, it’s important to be honest about how the Drama Queen’s behavior is impacting the team. There’s no shortage of impact when it comes to the Drama Queen, but productivity and morale might be the best factors to broach. Let’s take an example. Say, Deena is your Administrative Assistant and goes to HR and says she doesn’t feel recognized enough. Now, you as the manager know that you recognize Deena ALL of the time, but have been busy for the last week with a demanding project. Why did Deena feel the need to take this concern elsewhere? You feel like you must have missed something. The reality is that even if you recognized her 10 times that week but she did 11 things, she still would feel under-recognized. People who suffer from Debbie Downer syndrome tend to also have low self-esteem and like to draw attention to themselves or shed negative light on others. In the case of Deena, it might be a plausible solution to sit her down and let her know that you do recognize her hard work, but aren’t able to recognize her at every junction. Going forward, you would appreciate that you bring those concerns directly to you so that you can come up with a constructive solution together. The third personality is Underminer. The Underminer (let’s call him Paul) thinks they are the smartest person in the room at all times, and like to make sure everyone knows it. You might be in a meeting talking about an idea that one of your junior members had, and Paul will interrupt with a long spiel about how that just won’t work. The Underminer is often self-absorbed and has good ideas about 50% of the time. His quality of ideas though isn’t the problem. The problem lies with his interaction with others. He often will put down others in either direct or indirect ways to make his idea sound better. The Underminer can be difficult to manage because there is a big ego present. This guy thinks he’s Einstein; how do I tell him that I value his ideas, but that he needs be respectful of others (and you) when discussing solutions? At the very core of every team is to establish trust and vulnerability. Hold a meeting with your team and have each person go around and talk about one thing they are good at and one thing they struggle with – and don’t allow canned answers. If your Underminer can’t perform this exercise genuinely, it’s probably clear that they aren’t capable of being vulnerable, and in that case will always be detrimental to your team’s success. In conclusion, these are just a few personalities of difficult people, there may be more. But there are two truths that transfer to handling all kinds of difficult people. As the leader, you have to create trust and vulnerability on your team AND you have to give honest feedback when necessary. What’s worse than giving bad feedback? Giving no feedback. If you aren’t able to be vulnerable as a leader and treat the symptoms of your ailing team, your team will suffer for it. If you were to choose, would you prefer to be a General with a “decent” troop who were all vulnerable and trustworthy or a General of an exceptionally gifted troop who didn’t respect each other? Be the first General and start taking actions to build trust with your difficult people.